You are currently browsing the category archive for the ‘Development Led Archaeology’ category. Persimmon Homes “have been most generous” to archaeology. Will they go the extra mile? An archaeological dig in Exning (Suffolk) has just thrown up some surprises, both in archaeological terms and the reaction of local people. 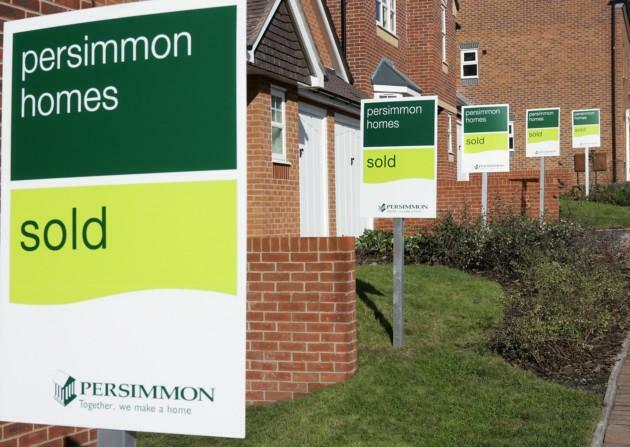 Persimmon Homes are building 120 new homes and Archaeological Solutions have been carrying out the site investigation. Many Anglo Saxon and Bronze Age features have been excavated and the day before work was to finish they unearthed their most significant find, a warrior buried with his sword and dagger. Let’s hope the people of Exning get their way. They may not as investigations are very expensive of course. However, according to Andy Peachey of Archaeological Solutions, “Persimmon has funded the excavation and as a developer they have been most generous and flexible in their approach to archaeology”. So maybe they won’t resist the idea of extending the dig. Building 120 houses presumably nets them a pretty massive amount of money so they can probably afford a bit more generosity! 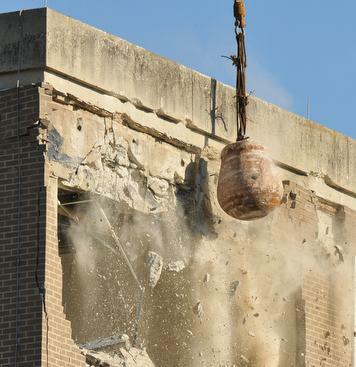 Is destruction of heritage ever a good thing? A recent news feature in the Dundee Courier highlights a basic problem with the way that the destruction of heritage is viewed. The story concerns the discovery and excavation of human remains in Stirling. The cemetery is being excavated in advance of a housing and retail development with building work due to commence later in the year. The discovery is variously described as exciting and fascinating and clearly much new and potentially important information will be gleaned. It is difficult to understand how the complete destruction of heritage can ever be remotely described as preservation and protection. Taking this approach to its logical conclusion Stirling’s rich past would be best served by destroying it all but making sure to place the artefacts in a museum and the records in an archive. The idea that destruction can ever be seen as a way of preserving and protecting our heritage is one that needs to be challenged at every opportunity. Our understanding can certainly be enhanced by destruction, but every time a site is destroyed tangible remains are lost and the chance to learn more using enhanced investigative techniques in future has also vanished. We need to face this reality and stop hiding behind the idea that somehow because we have made a record of what was there that is somehow miraculously preserved and protected – it is NOT, its gone and its gone for ever. This is destruction not preservation or protection. Is cynicism about heritage bad for you? It seems that it is. A story has broken this morning that cynics are three times more likely to suffer from dementia. That’s worrying, because today another story broke about the fact that 700 houses are to be built near Purton (and that Swindon is looking for a further 60,000 new houses to be built in the future) and that an Iron Age settlement had been found during the excavations. Neither of those is the point though. 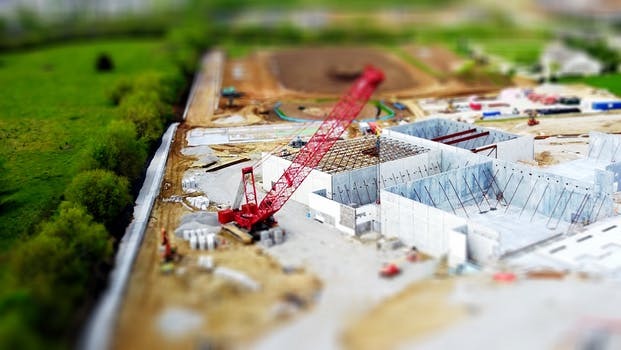 Massive building is going on everywhere and significant archaeology is being discovered and destroyed very frequently. Everyone knows that and has to accept it as mostly inevitable so no danger of dementia there. No, what prompts some of us to be dangerously cynical are some of the things developers say to make the destruction sound OK and something they deserve praise for. A cynic might say: actually, you didn’t volunteer to do that, you did what the law insisted you do, nothing else. You could equally have admitted that and expressed regret for the destruction and said we’re sorry to do it but it’s about the money, see? That at least would be believable. Big builders rarely do more than the minimum even when there’s scope to do so such as leaving a few plots undeveloped. But apparently, even to think such a thing would be bad for your health so let’s all say hurrah to Taylor Wimpey for being so caring! Preservation by Record, but for how long? A lot is being made these days of the phrase ‘Preservation by Record’. This phrase usually comes to the fore in Developer-led or Rescue (ha!) archaeology, where a site is deemed to be of major importance, but the economics and politics of the situation overrule the archaeology, which is then destroyed forever, removing any future prospect of learning more from the site. See the Thornborough Henges for a classic example of this where entire settlements have been (some would say needlessly) quarried away (and subsequently flooded) for the sake of short-term profit. At the same time, there is a current philosophy of moving towards ‘Open Access’ archaeology – however you define that. For many, it means everything (?) available online, preferably for free, but often at a (prohibitive for some) cost and invariably difficult to find. 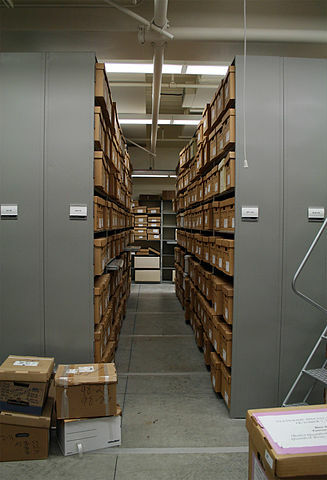 But the main point is that archives are increasingly becoming digital in nature. So what does this mean for future historians and archaeologists? The source material is being obliterated – archaeology by definition being a destructive process – and the source records are being digitised, thus also eliminating the primary records. Now talking about digitised records, I recently came across some 5.25″ diskettes in my attic, some labeled ‘personal documents’. 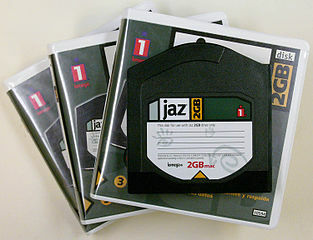 I have no idea what is on these disks, which are some 15 years old, possibly older. Brief enquiries among my ‘geekier’ friends for conversion suggestions came up blank – although one did say he could cope with 8″ or 3.5″ diskettes, but not 5.25″! I am now resigned to having lost these digital records, when I don’t know what they contain. Fast forward not 15, but 50 years. What digital technologies will exist then? More to the point, what technologies will survive to enable today’s digital records to be read? It is extremely unlikely that today’s formats will still be in use. Even today, some of the earliest versions of PDF documents can no longer be read by today’s sophisticated viewers due to incompatibilities and potential security loopholes. Even more to the point, at a time when funding is constantly being squeezed from all sides, who will pay to maintain and convert the existing digital records in a format that will be readable in 10, 50, 100 years time or more? So it would seem that the answer may be to retain the primary source records, in paper format. But this has its own problem set, not the least of which is space. There was an interesting discussion on this topic at the British Archaeological Trust AGM earlier this year. Again, cost is a major factor but there are opportunities to overcome the space issues, by utilising underground caverns and mines. Deepstore was specifically mentioned as a facility which many archives are currently investigating, though the fact that it uses a salt mine raised environmental concerns for some of those present at the meeting. So it seems that although the problem is acknowledged, without ongoing funding the future for our archives would appear to be potentially very bleak indeed. Archaeology – Enjoy it while it lasts? If this article is of concern to you, please consider joining and supporting the British Archaeological Trust (RESCUE), who campaign and lobby parliament about such matters. Back in June, we were excited to see the reports coming out of Monmouth about a potentially unique Bronze Age site built from 3 massive tree trunks chopped in half and laid next to each other. Stories about this discovery were all over the net, see here, here and here for example. In a written reply to queries by the Monmouth AM Nick Ramsey, Welsh Heritage Minister Huw Lewis has suggested that the interpretation by the excavating archaeologists could be completely wrong and the site may instead “represent part of a later Roman system of drainage ditches”. The discovery was made during excavations in advance of a new housing development, and scheduling would clearly scupper at least some of those plans. Not scheduling however will presumably allow the development to continue once the excavations are complete. We shouldn’t worry about preservation of the site though, as “Parts of the trench system will anyway remain preserved below an adjacent planned green space within the development.” Phew!! And here was us thinking it would just be built over.